Though always try to hide but if does not find the method nail care properly, the skillful painting class also can’t completely hide defects; even, you risk making the symptoms of more severe nail. Nails grow very slowly (2-3 mm/month), it takes from three to six months a completely new nails replacement for fracture nails. 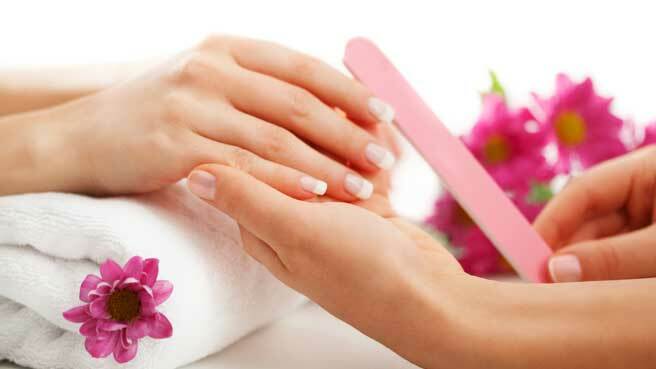 Therefore, you should be patient care improved nails nail right at home instead of the schedule to the manicure Salon every week. Regular exposure to water during long or abuse of paints and cleaning the nail causing keratin served to consolidate and maintain the top layer of the nail broke, leading to the condition of the nails dry and vulnerable. To deal with this situation, you need to know how to giữẩm for nails. 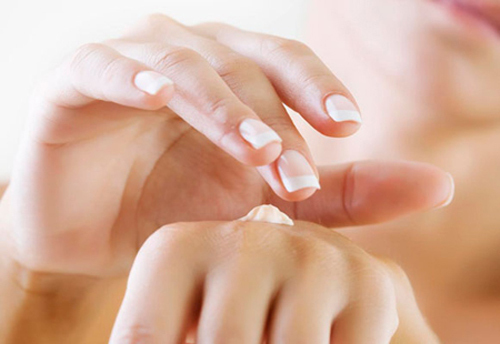 The most simple is the manicure lotion balm or moisturizing cream for hands up to the surface and contour around the nails after washing hands, bathing, washing, cooking, swimming and painted nails. -Protein, composed of collagen and keratin has the effect of strengthening the cells of the nail, the nail to prevent cracking and splitting. -Such as lanolin, petrolatum and coating of mineral oil to help slow the loss of độẩm nail and prevents dry skin. -Desiccant to avoid dry and cracked nails, including urea, lactic acid, glycerin, propylene glycol, alpha hydroxy acids and phospholipids. -Water: if exposed to water throughout the day, you should be equipped with rubber gloves or disposable gloves. You should also consider wearing gloves when washing dishes and cleaning houses. -SOAP: Select type of mild soap contains essential moisturizers for skin and nails of the hands. -Cleaning nail: nail paint cleaners, especially those containing acetone can dry the nail. You should only use the most nail 1 time/week and select buy nail Remover does not contain acetone. 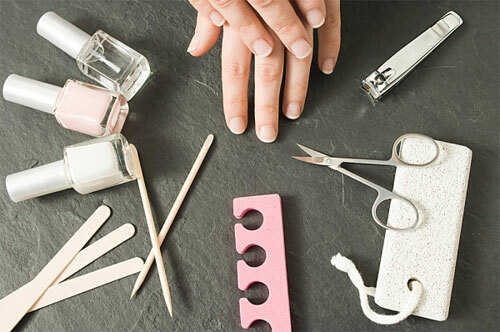 -Regularly trimming nails: manicure chipped easily lead to broken and cracked nails short, hold the Cup, cut in the head and gently rounded trimmed sides. -For three tablespoons of olive oil into a small bowl and then mix add a tablespoon of lemon juice. Put the mixture in the microwave from 10-15 seconds to warm the mixture. Use a clean swab applicator homemade mixture onto the surface of the nail, nail the underside edge and around the cuticle. Make every night before going to sleep to the nail better. You should only do enough mixture to use during the day, avoid reserved for the day after because of bacteria on the hands can penetrate into the mix through the swab and cause infection. Go see a doctor in case of not improving nails because nails can fracture is an indication of some other disease like cirrhosis of the liver, prostate, iron deficiency. Let’s nail care frequently to have beautiful nails the healthier every day, Yes.